Was the "Marxist Conspiracy" truth or propaganda? What is the case against them? What evidence do you have? Although the Government has been saying, “Yes, we have evidence, otherwise we would not have arrested them.” What evidence? You tell me. There is no evidence. The only evidence is their own confession. That is all. Any court of law would throw out this kind of a confession. As far as I am concerned, the Government’s case is still not proven. I would not say those fellows were Red, not from the stuff they presented…I think a lot of people have this scepticism. Although I had no access to state intelligence, from what I knew of them, most were social activists but not out to subvert the system. It defied belief — and it still does — that while the ministry of home affairs was assiduously accusing you in a series of official press releases of complicity in this dangerous conspiracy necessitating your arbitrary detention, the puissant prime minister was telling an anxious Roman Catholic Archbishop Gregory Yong and others at a private Istana meeting with a straight face that you were in fact “do-gooders”. And not dangerous Marxists at all! That there was a serious contradiction in accusations did not seem to faze him. For the truth only surfaced long after the event at the defamation trial between Lee Kuan Yew and the Far Eastern Economic Review and others! The detention without charge or trial, ‘brainwashing’ interrogation techniques and other physical and psychological maltreatment by the Internal Security Department amount to clear and grave violations of the human rights of those detained and an abrogation of the rule of law. With only one hour’s interval, detainees were interrogated continuously by relays of interrogators for 5 days and nights, with complete sleep deprivation. (This is a well-known torture practice). There is no evidence of a Marxist conspiracy or that this informal network of community development groups and workers posed any imminent threat to the security of Singapore. The Singapore government has continually rejected demands for it to prove this alleged ‘conspiracy’ in open court, and give those detained a fair trial. We believe it has refused because its evidence of a ‘conspiracy’ is simply too weak to stand up in court. A mere five weeks after the initial arrests, then Foreign Minister S. Rajaratnam complained that over 200 organizations from around the world had sent protest letters to the government. The Australian government on Tuesday called in Singapore’s High Commissioner in Canberra, J. F. Conceicao, to express its concern and regret over the re-arrest on April 19 of eight former political prisoners and their lawyer under the Internal Security Act (ISA). Japanese human rights activists… called for the immediate release of nine political detainees in Singapore in official letter to Singapore Prime Minister Lee Kuan Yew. List of organizations that officially supported the 1987 ISA detainees. 1987 was like a ghost haunting many church workers. What got ingrained was the power of the state and the instruments that the state could use. What we embraced was fear. This kind of thing takes a lot of time to shed. The Government does not ill-treat detainees. It does however apply psychological pressure to detainees to get to the truth of the matter … the truth would not be known unless psychological pressure was used during interrogation. Psychological disorientation is evil whether it happens in South Africa, the Soviet Union, China, Singapore or the United States. Yet here they seem almost proud of their psychological tactics – breaking down the defenses of people in captivity. They need to be more sensitive to the definition of what constitutes cruel and unusual punishment. Jerome A. Cohen, a prominent legal representative of Asia Watch, while on a visit to Singapore at the time. In the midst of the accusations being hurled at me, I retorted, “Now, look here…” or words to that effect. I never completed my sentence: one of the interrogators slapped me across my left cheek, not with a flick of his wrist but with the full force of his body. I fell to the ground and my glasses landed on my chest. I was completely shocked by the assault and wished I could faint as I felt that I could not take any more. I had never felt more humiliated in my life. I noticed, too, dried sunburnt blisters peeling from the skin of both arms. I could not at first comprehend how I could have acquired them until I realized that I had been burnt by the powerful rays of those spotlights, which had also dried up the moisture in my eyes. Cold rashes had broken out all over my atrophied limbs under my clothes. Unlike many people who are sensitive to sunburn, I am susceptible to cold rashes. It was always troublesome for me whenever I had perforce to travel abroad during winter. In this instant case, as if signaled by a faithful built-in thermometer, the rashes broke out in chilling confirmation of the coldness of the room. My interrogators had swaddled themselves up in warm winter clothes and left it, time and again, whenever they could no longer withstand the wintry cold. Many people told me they understood I was not a criminal, just someone whose thinking was different from that of the Establishment. That last act which triggered my abject subjugation haunted me for a long time. To mitigate the duress, I decided to allow myself to be abused and bullied into writing tracts of self-incriminating lies and half-truths. It seemed less painful to surrender in the interrogation room, but it was more painful when I was put back into the cell. I felt cold, very cold and numb. Surely this can’t be real, this can’t be happening. But the blows to my face kept coming after every reply. Men kept coming and going out of the room, talking among themselves, barking at me, shaking their heads. J.T*, another little man with a moustache, the case officer. T.*, a little woman, his assistant case officer. Long Jaw, who slapped me with powerful swings of his arm and the full force of his body behind every blow. I wanted to forget it all but I couldn’t. It was humiliating. I was crying out that it was totally unwarranted. Were they stupid? Marxist? Me? I tried to tell them what I am – a Catholic. But they were not interested in my answer, but continued hitting me and dousing me with cold water in an air-conditioned room. The period of detention turned out to be the most traumatic years of my life – the strip search, the blindfolds, the interrogations in the cold room, the sleep deprivation, the television interviews, the slaps on the face, the three-legged chairs I was forced to balance on during the initial interrogations, the solitary confinement and, most of all, the fear of long-term incarceration without trial. 1. Vincent Cheng Kim Chuan, 40: Detained for a total of three years. Considered by the press release of the Minister of Home Affairs as the leader of the group, was a former theology student, a full-time worker in the Church movements. He was the secretary of the Justice and Peace Commission where he had worked since 1983. From June 1982 to June 1983, he undertook the coordination of the volunteers and their activities in the Catholic Centre for foreign workers. (But) he no longer belonged to the group since 1984. 2. Ng Bee Leng, 23: A full-time employee at the Catholic Centre for foreign workers. She was formerly a student of the Polytechnic of Singapore where she had been president of the Students Union. 3. Tang Lay Lee, 33: Lawyer, was an employee of the Young Christian Workers of Singapore. 4. Kevin Desmond de Souza, 26: Graduate of the Law Faculty of the University of Singapore, was, at the time of his arrest, an employee of the Association of Catholic Students at the Polytechnic. He was a member of C.O.R.D. 5. Mah Lee Lin, 22: Graduate of the Polytechnic of Singapore. From 1982 to 1984, she had been the secretary of the Students Union. Within the framework of the Chai Chee Catholic Centre which was an extension of the Catholic Centre for foreign students. She belonged to a group of volunteers which helped Malaysian workers. 6. Teo Soh Lung, 39: Lawyer. Detained for a total of 2 and a half years. Offered her services to the Catholic Centre for foreign workers. She had been one of the first collaborators of the Centre at its foundation in 1980, especially in its activities regarding Malaysians and Filipinos. Together with Tan Tee Seng, she had organised English lessons and an introduction to workers’ rights. That went on until 1982. She was then engaged by the Director of the Centre as an advocate-councillor. 7. Kenneth Tsang: A graduate of an English University, was an economist by training. In 1983, he gave English courses at the Catholic Centre for some months to foreign workers. He collaborated in the Justice and Peace Commission. 8. Jenny Chin Lai Ching: Wife of Kenneth Tsang and the sister of Juliet Chin, a student who had been expelled from Singapore in 1974. 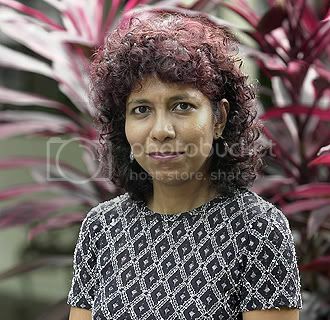 Jenny was a journalist for the Malaysian newspaper New Straits Times and a collaborator for the Justice and Peace Commission. 9. Tan Tee Seng, 28: Former student of the Polytechnic and Vice-President of the Students Union. With Teo Soh Lung, he was one of the first volunteers of the Geylang Catholic Centre, where he had been active until 1984. He, too, had taken part in the activities of the Justice and Peace Commission. 10. Low Yit Leng: A graduate of the Polytechnic, she had carried out the charge of Secretary General of the Students Union. She had also been the Secretary General of the Association of Asian Students which had its headquarters in Hong Kong (81-83). She collaborated in the Justice and Peace Commission. She was the manager of a printing firm. 12. Chung Lai Mei, 22: A graduate of the Polytechnic, just ended her term as Assistant General Secretary of the Association of Asian Students, a position she had occupied since 1985. 13. Wong Souk Yee, 28: Detained for 15 months. Former member of the Students Union, she had written and produced theatrical plays for The Third Stage group, of which she was the president. 14. Chia Boon Tai, 36: Graduate of a British University, was a Malaysian who collaborated with The Third Stage group. 15. Tay Hong Seng, 36: Worked in the government controlled television station SBC. He was a founding member of the theatrical group The Third Stage. 16. William Yap Hong Ngian, 40: A graduate of a British University collaborated in a television chain. He was a member of the group “The Third Stage”. 17. Tang Fong Har, 32: Lawyer, arrested on 20 June 1987 and served with a one-year detention order. Released on 12 September 1988. She was one of the nine signatories of the joint statement recanting their earlier statements made under detantion but escaped the re-arrest as she was overseas at the time, and has remained in exile to this day. 18. Chew Kheng Chuan: Printer, arrested and detained on 20 June 1987. 19. Chng Suan Tse : Lecturer at Singapore Polytechnic and president of an experimental drama group. Patrick Seong: Lawyer, whom the government accused of having been a “propagandist” in providing information to foreign correspondents during the 1987 detentions. The detainees, while under detention, had made statements admitting their guilt. Some of the them were released after issuing the statements. Nine of those who were released later issued their own statements, recanting their earlier ones. The following was the statement to the media by the nine. The day after this statement was released, they were rearrested by the ISD. We, the undersigned, were detained by the Internal Security Department (ISD) on 21 May and 20 June 1987 and released in stages after the suspension directives and/or restriction orders in June, September and December 1987. While we had privately always maintained our innocence and kept a rueful and cheerful silence about the unjust treatment we were subjected to, and would have been inclined to keep our silence, the government has repeatedly raised the issue of our arrest and detention and made false and damaging statements about us. On the one hand, we have been intimidated by implicit and explicit threats against our safety, should we speak up about our arrest and detention; on the other hand, the government and its spokesmen have continued to make bold and untruthful statements regarding the reasons for our arrest and detention and have denied that any of us were subjected to ill-treatment or torture. We make this statement as principled men and women who will speak the truth and state our position for the record… we do not intend to challenge the government, we do not seek any official response, neither is there any desire to make political capital out of this. Our sole purpose is to clear our names. We are accused of being involved in an alleged Marxist conspiracy to subvert the existing social and political system in Singapore using Communist united front tactics to establish a Marxist state. We categorically deny the government’s accusations: we have never been Marxist conspirators involved in any conspiracy. We were never clandestine, Communist or a Marxist network and many of us did not even know of one another before the arrests. We were rather community and church workers, legal reformers, amateur dramatists, helpers of the Workers’ Party, professionals and ordinary citizens exercising our constitutional rights to freedom of expression and association in Singapore. We have never propagated in words or in actions a Communist state for Singapore. Rather we have through open and legitimate organizations and legitimate means advocated more democracy, less elitism, protection of individual freedoms, greater concern for the poor and the less privileged, and respect of freedom in the private lives of citizens. We believe that, as in the case of an individual citizen, so too has an organization the same legitimate role to play in a democratic country. It seems to us that we were arrested and detained for the legitimate exercise of our rights as citizens, through registered and open organizations. We did not infiltrate these organizations but joined them as members, volunteers and full-time workers. Neither did we use these organizations as forums to propagate subversive activities. All acitivities carried out by these organizations are legitimate, open and approved by elected executive committees whose members clearly stand on their own right as capable, autonomous and intelligent individuals. Neither were we instructed by any person or organization, not Tan Wah Piow, Paul Lim, nor any political party. Following our sudden arrest we were subjected to harsh and detailed interrogation. Some of us were for as long as 70 hours inside freezing-cold rooms. All of us were stripped of our personal clothing, including spectacles, footwear and underwear and make to change into prisoners’ uniforms. Most of us were made to stand continually during the interrogation, some of us for over 20 hours and under the full blast of air-conditioning turned to a very low temperature. Under these conditions one of us was repeatedly dowsed with cold water during interrogation. Most of us were hit hard in the face, some of us not less than 50 times, while others were assaulted on other parts of the body during the first three days of interrogation. We were threatened with the arrest, assault and battering of our spouses, loved ones and friends. We were threatened with indefinite detention without trial; Chia Thye Poh, who is still in detention after 22 years, was cited as an example. We were told that no one could help us unless we cooperated with the ISD. These threats were constantly in our minds during the time we wrote our respective statements in detention. We were actively discouraged from engaging legal counsel and advised to discharge our lawyers and against taking legal action, including making legal representation to the ISA Advisory Board so as not to jeopardize our chances of release. We were compelled to appear on television and warned that our releases depended on our performances on TV. We were coerced to make statements such as, “I am Marxist-inclined”, “My ideal society is a classless society”, “So-and-so is my mentor”, “I was made use of by so-and-so”, in order to incriminate ourelves and other detainees. What we said on television was grossly distorted and misrepresented by editing and commentaries which attributed highly sinister motives to our actions and associations. We state once more, clearly and unequivocally, that we never acted in any way to subvert the security of our country. Fortunately, the human person is blessed with the capacity to rise above the ashes. Eastern religions believe that humans possess a human spark that can potentiate into a prairie fire. It all depends on your mindset. Seen in this light, I have never regretted the three years in prison for standing on the right side of the struggle. It was a good time to train myself to understand the strengths and weaknesses, and to appreciate the dynamism of the human spirit in trying circumstances. One may or may not see the fruits of one’s struggle for justice, but every struggle is a step forward. It can therefore be seen as an achievement, a victory. In prison, I made a candle out of toilet rolls and affixed it on the wall. It burns with a bright red flame. On the candle, I inscribed my motto: “To give light, the candle must endure burning.” Above the candle, I placed a cross. These images signified for me sacrifice and victory. And victory it will be. It is only a matter of time.